RSA+ assisted Stacia and Edwin Williams with use permits and entitlements for the two properties that comprise the Cairdean Estates. The Estates are now the home of Cairdean Vineyard and Winery, the Farmer and the Fox Restaurant, Butterscots Bakery, and Redolent Mercantile. 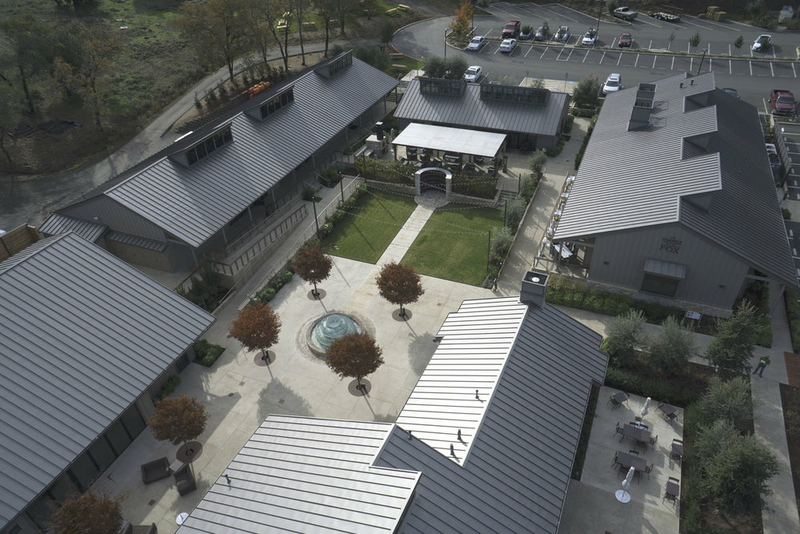 The Riverfront is a high-profile, mixed-use project considered to be the centerpiece of the revitalization of Downtown Napa. The project consists of 2 levels of underground parking, 40,000 sf of commercial space, 30,000 square feet of office space and 50 residential condominium units. The project also includes a riverfront promenade and pedestrian throughways as part of the Napa River Flood Control Project. RSA+ assisted Jackson Family Wines and Scannell Properties with the planning, entitlement, design, and construction of 650,000-square-foot distribution facility on 35 acres, with 12,773 square feet of office space and about 630,000 square feet of warehouse and industrial space. RSA+ assisted Industrial and Commercial Contractors (ICC) with the planning and development of two-building complex located at 644 and 677 Hanna Drive in American Canyon. The buildings total more than 718,000 square feet and are situated on a 50-acre parcel in the Oat Hill region south of Green Island Road between Route 29 and the bay.